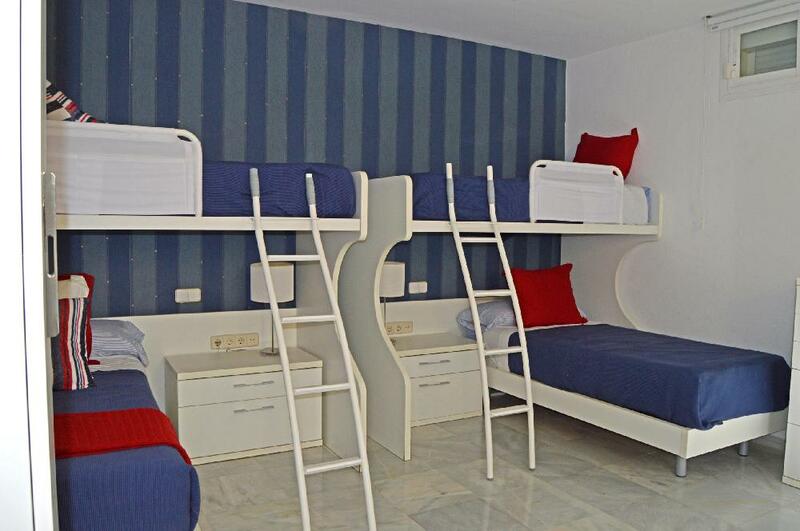 This property comprises of 3 double bedrooms, one bedroom with 2 bunk beds for 4 guests, 4 bathrooms and a guest toilet. 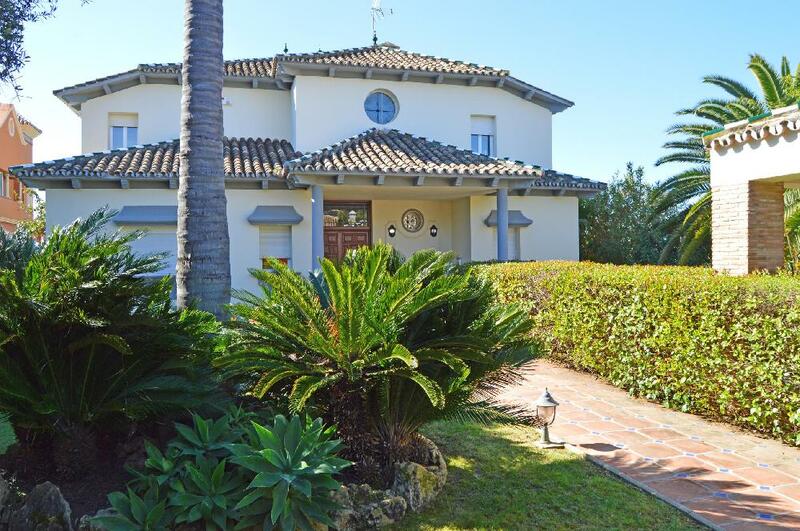 This Villa is in great condition and has 1 bedroom on the ground floor, 2 bedrooms on the first floor, both very large, each with own terrace, with sea and golf views. 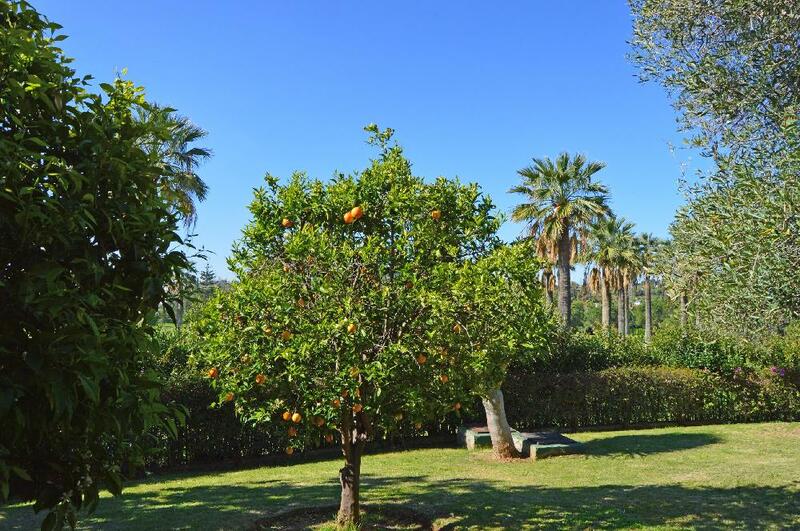 On the garden level is the fourth bedroom with the 2 bunk beds, on the same level is a gym and 2nd lounge with direct access to the pool terrace, set amongst beautiful fruit trees and a gorgeous garden. 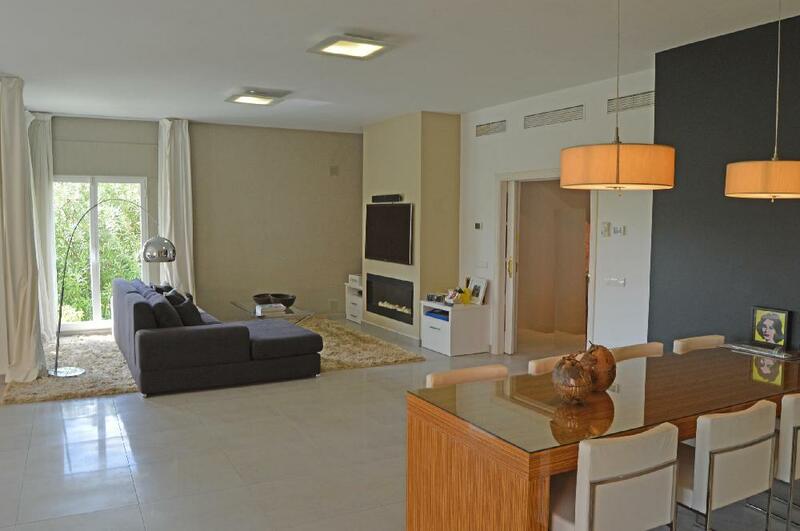 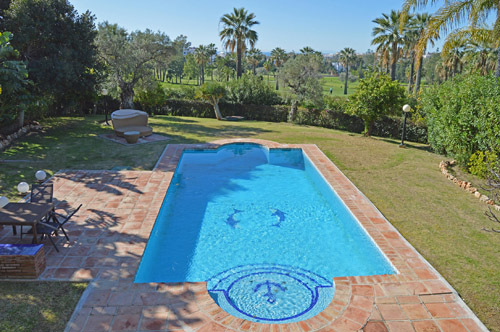 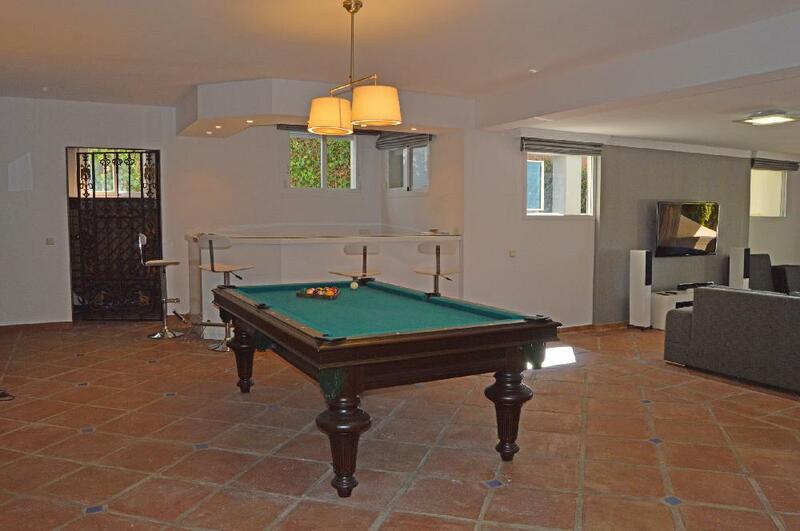 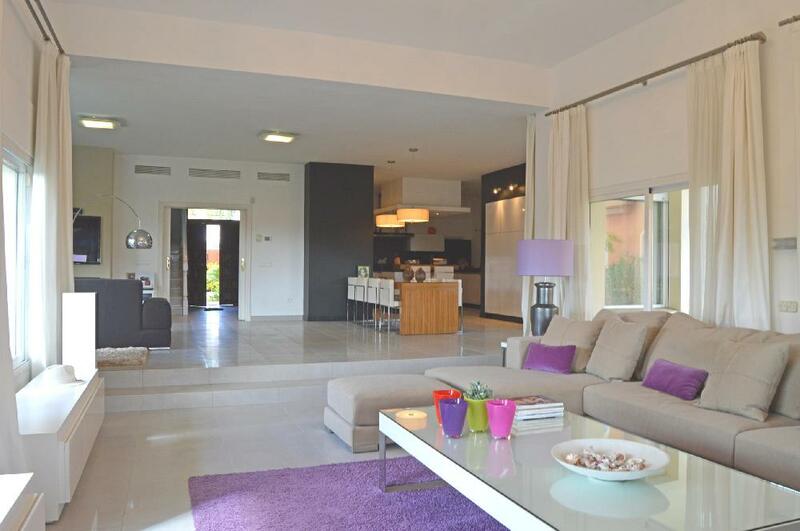 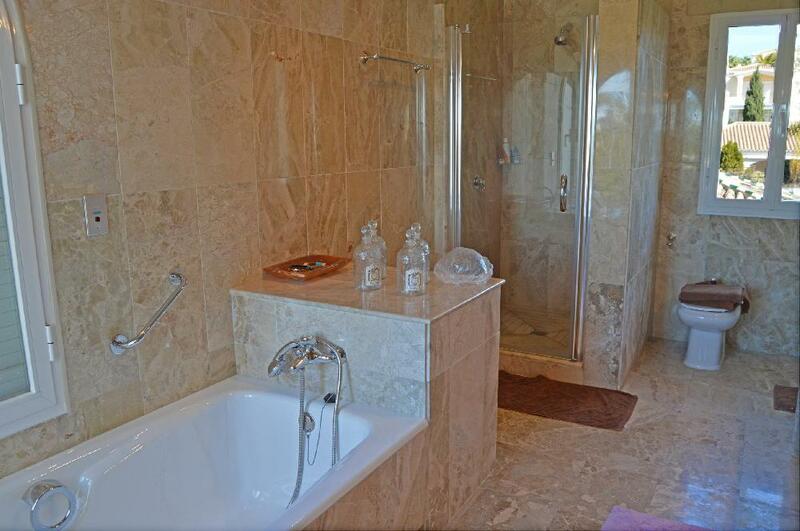 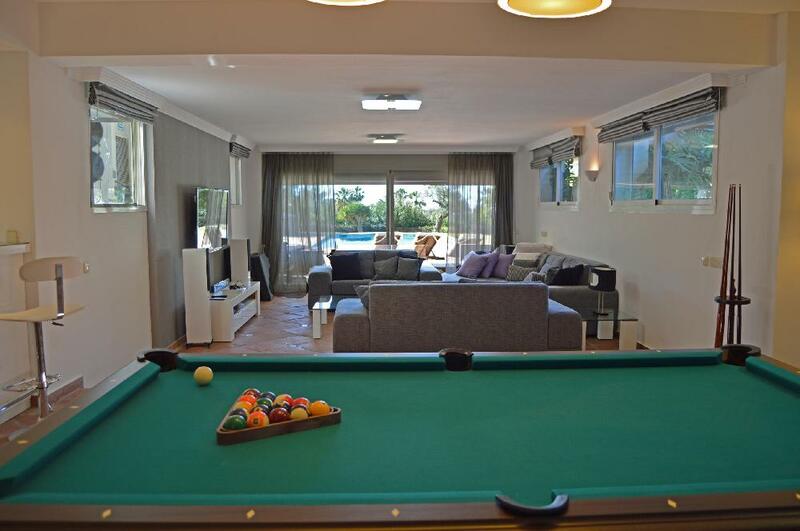 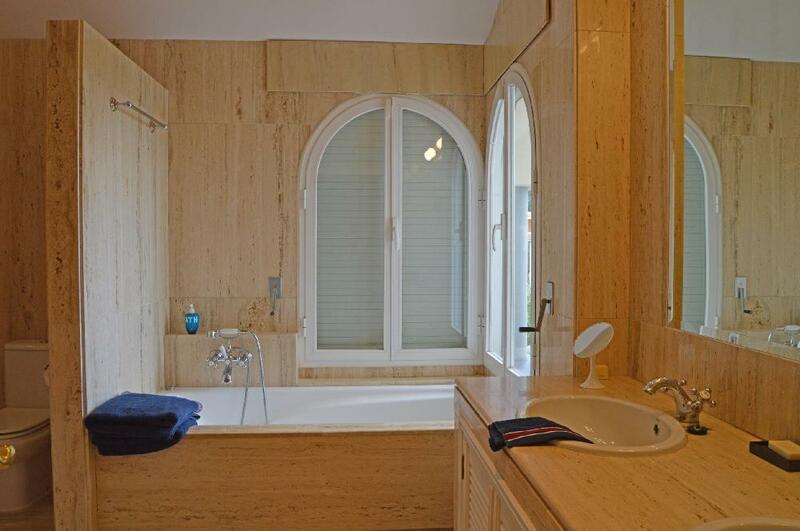 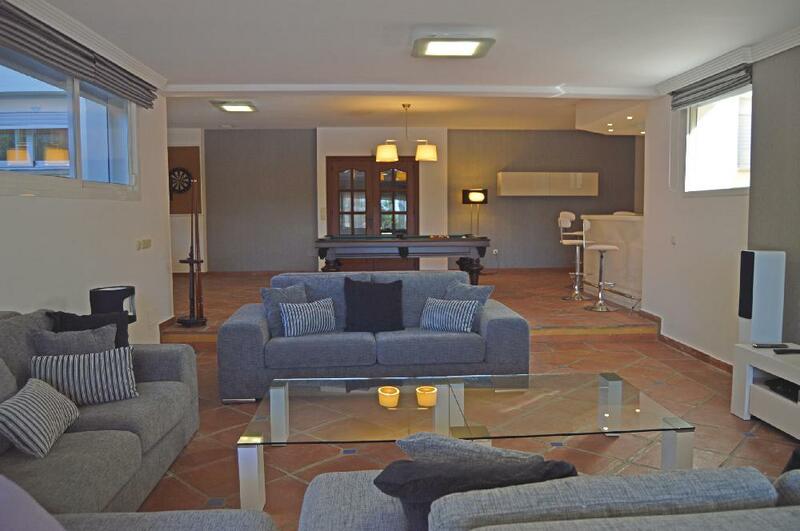 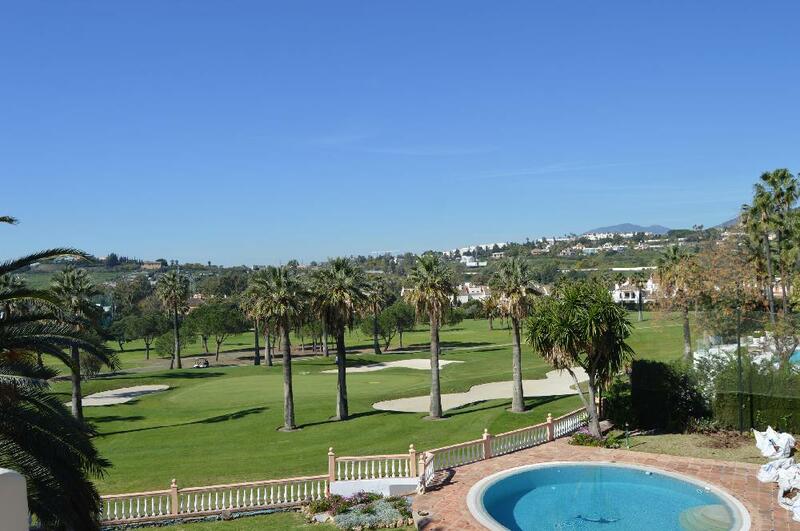 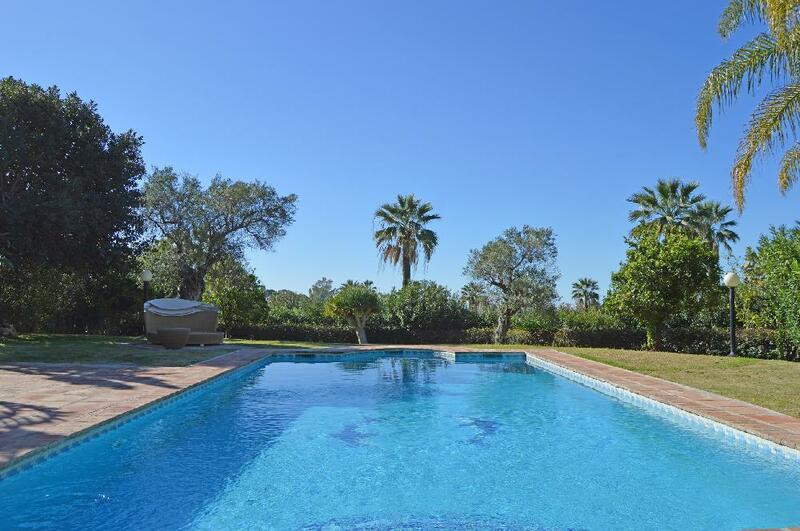 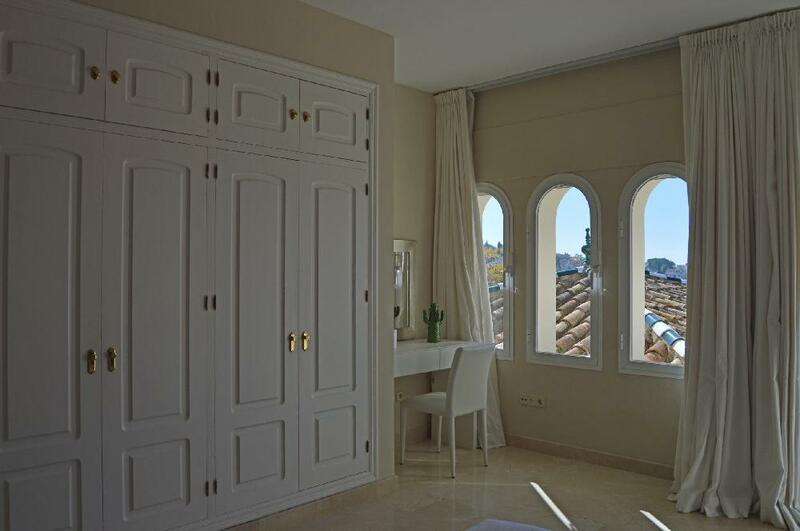 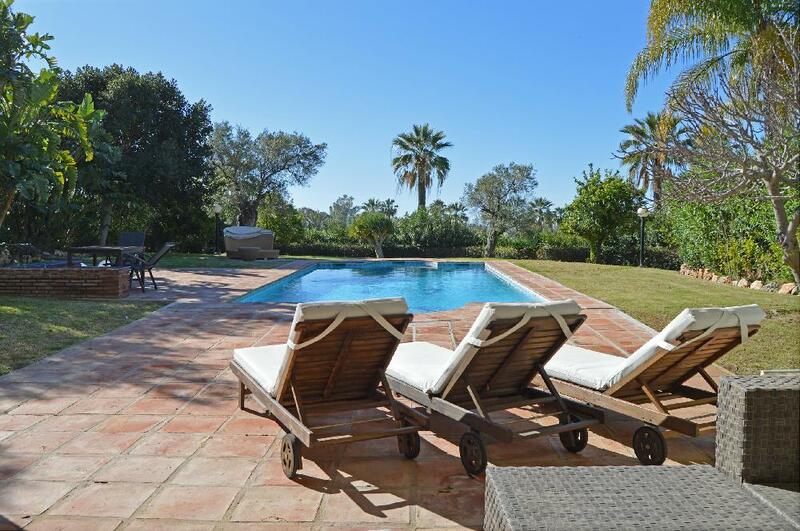 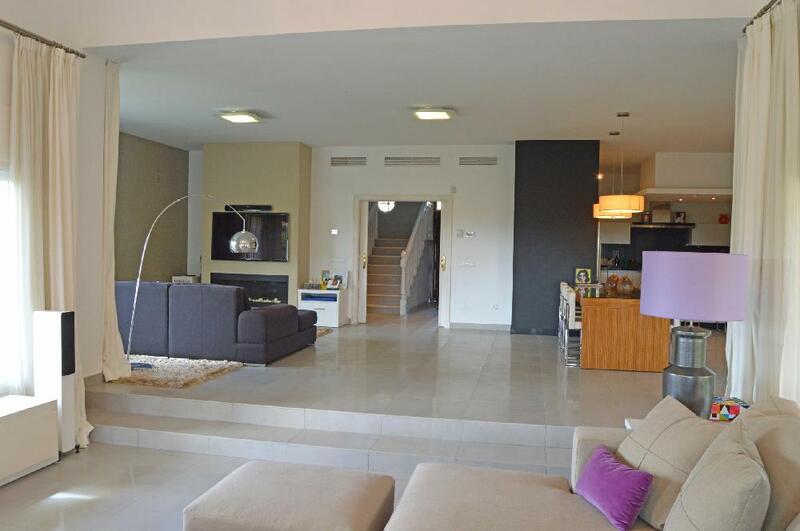 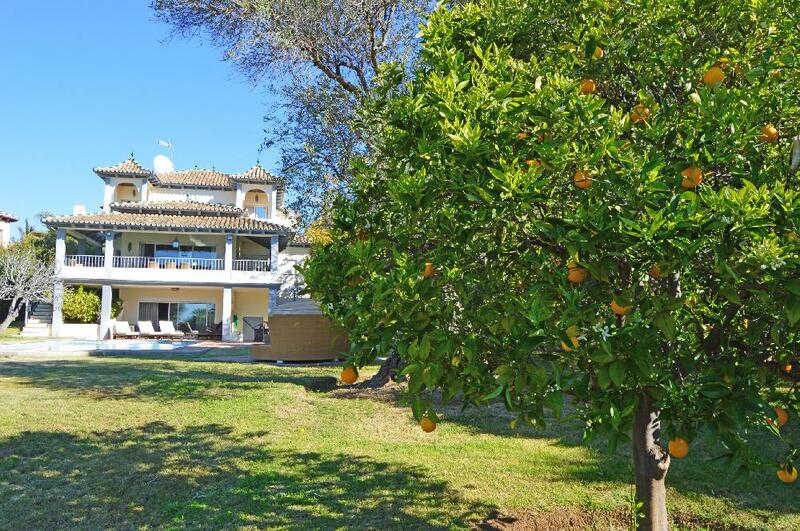 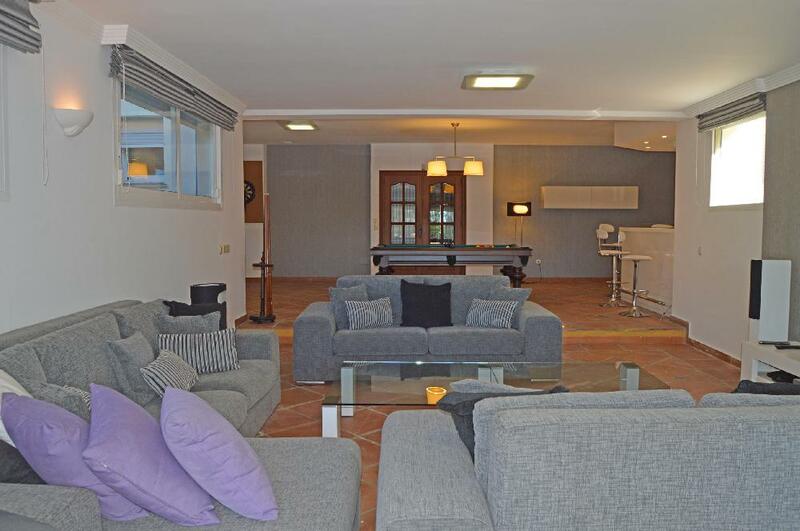 Marvellous South-West facing Villa situated front the golf in Los Naranjos. 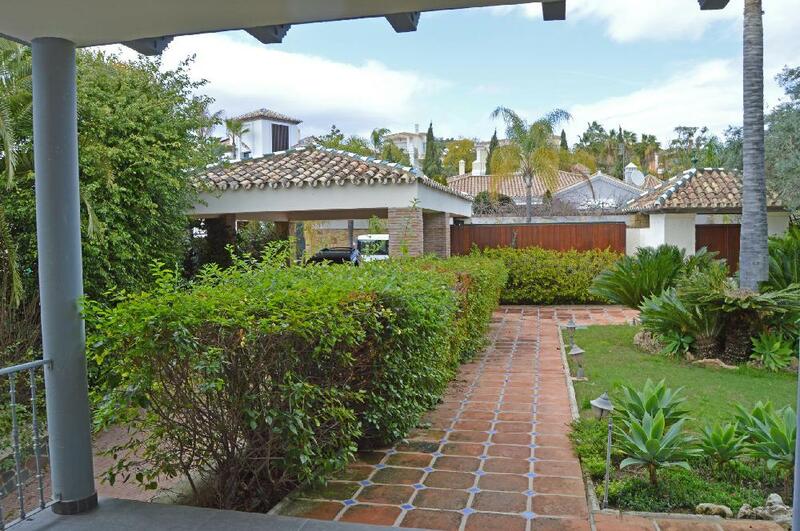 Located in the prestigious area of Nueva Andulucia, this front line property overlooking Los Naranjos golf course and situated near La Quinta golf course. 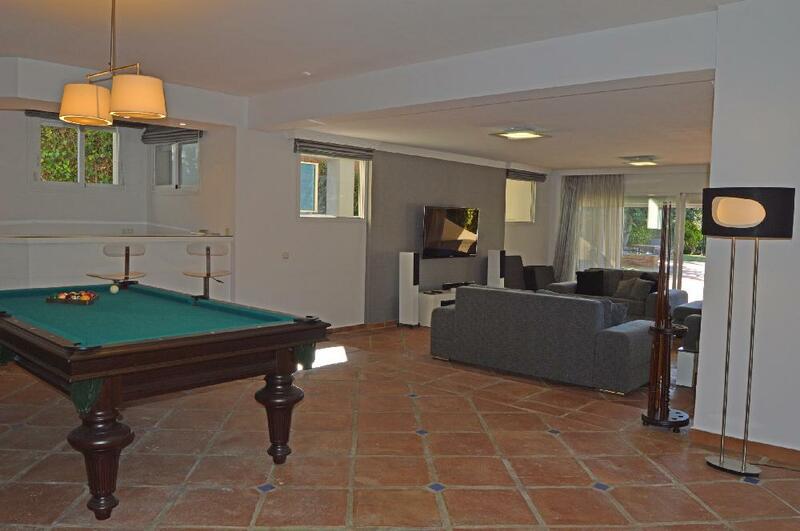 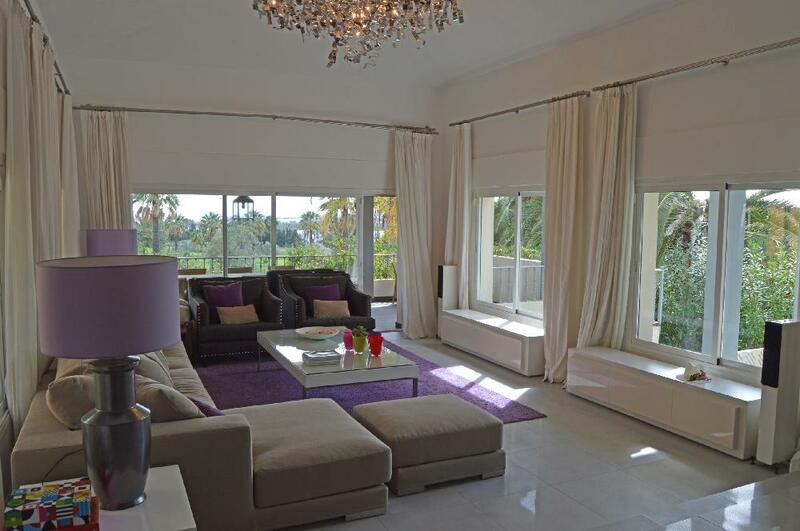 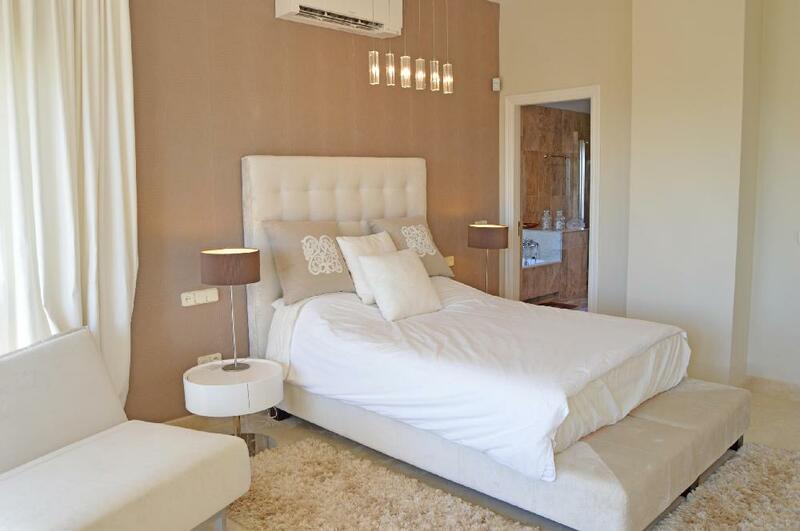 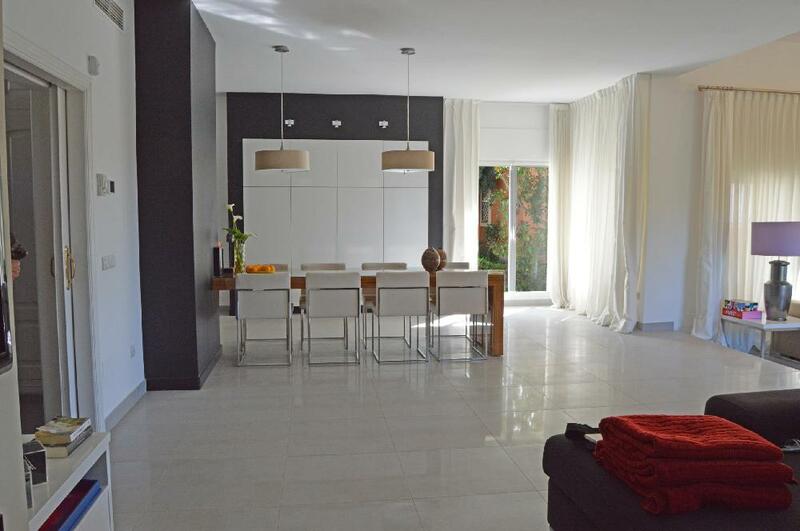 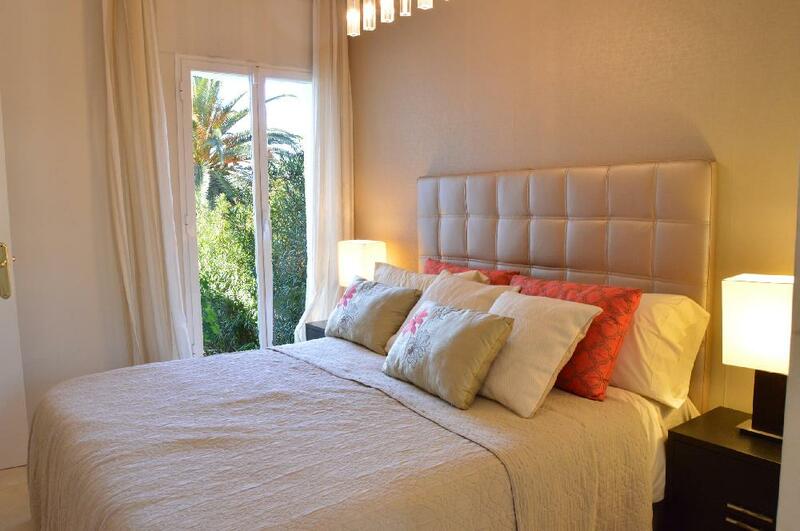 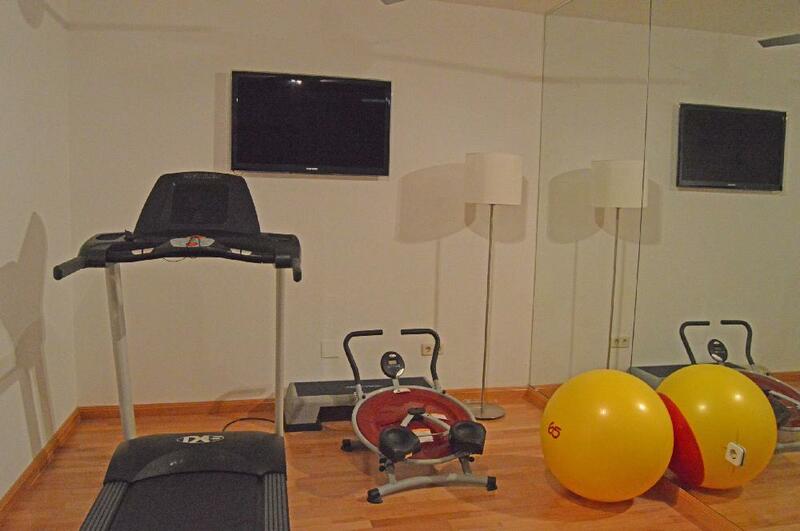 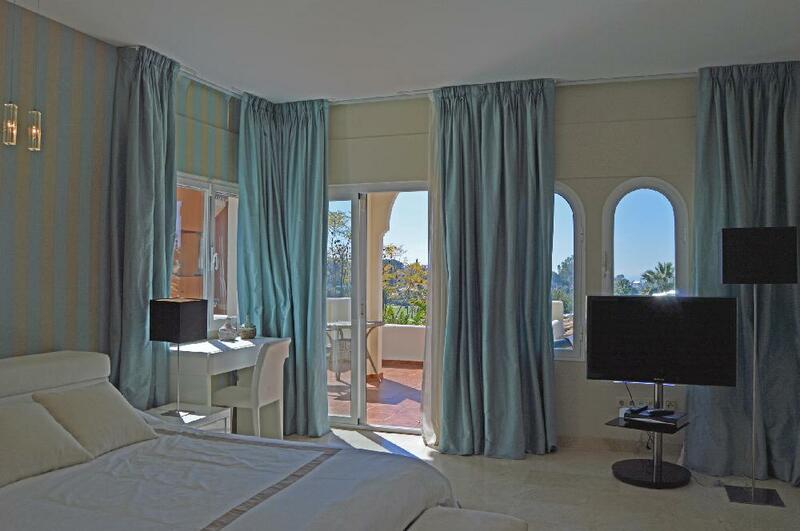 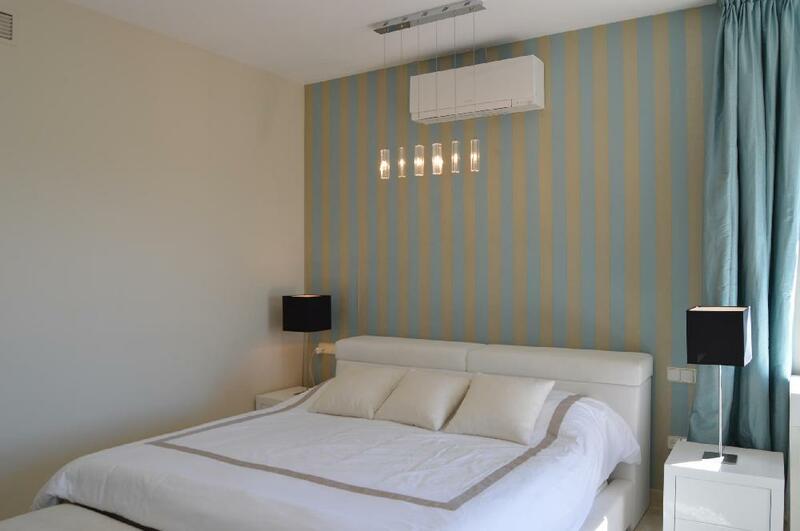 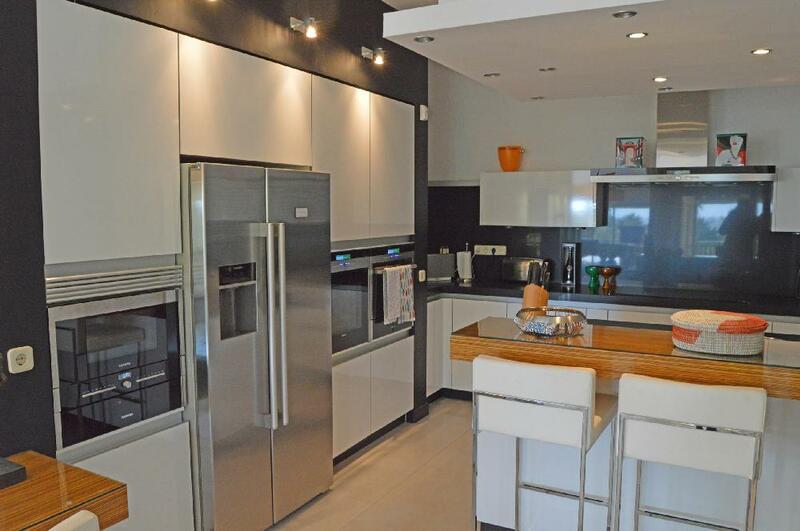 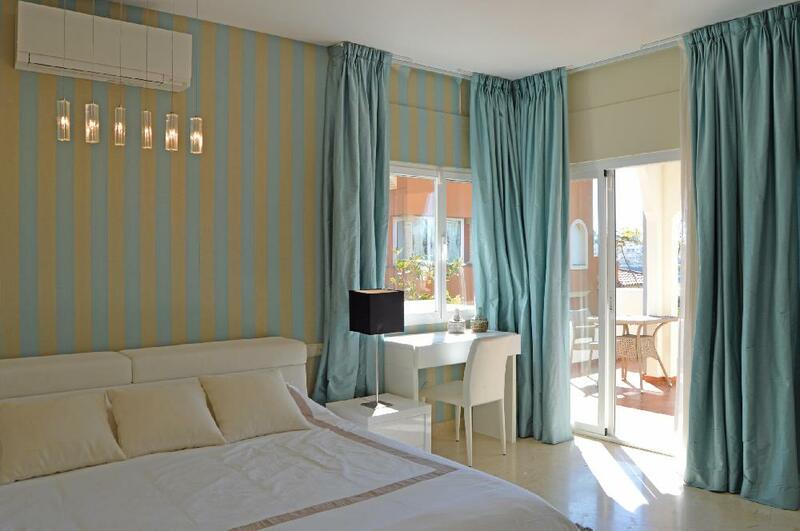 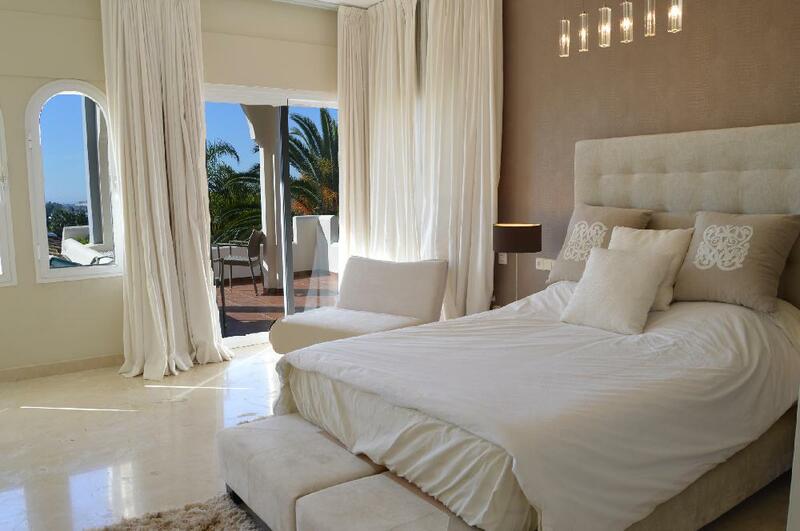 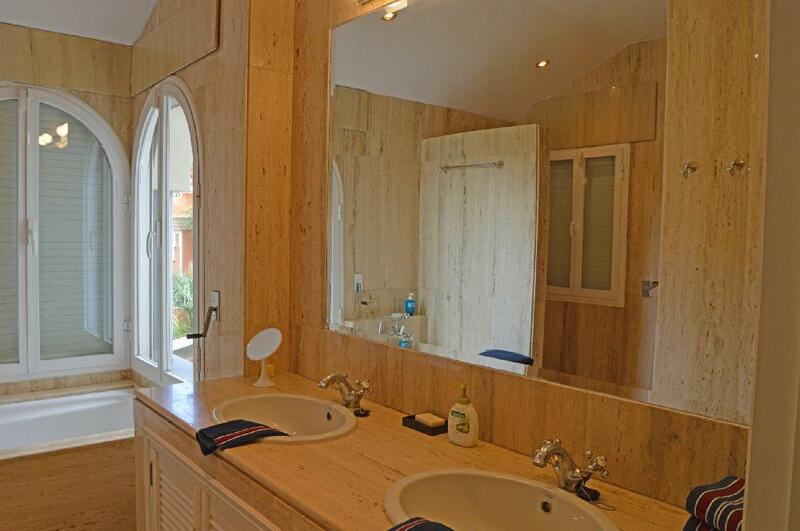 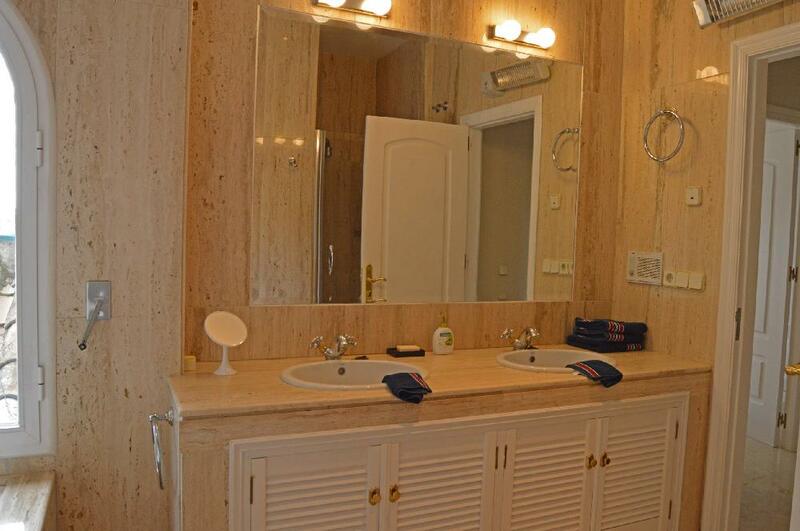 It is a 5 minute drive to beach and port of Puerto Banus, restaurants and local shops. 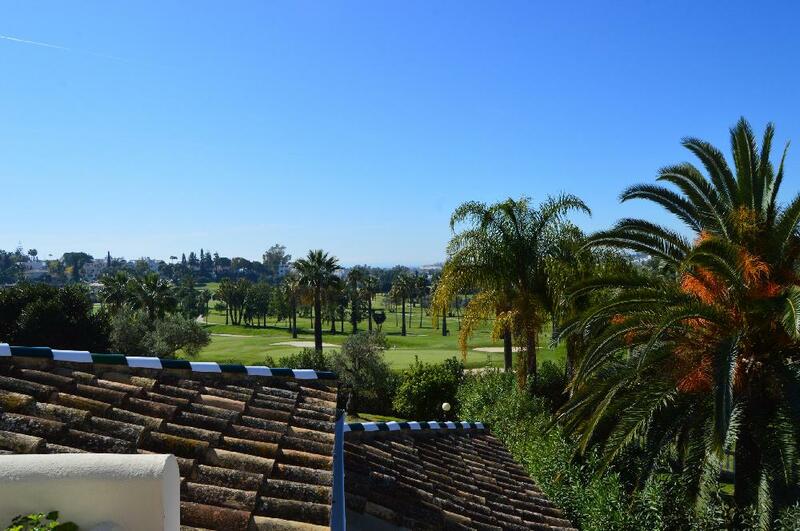 Rising up a gentle slope from the Golf Valley of Nueva Andalucía, Los Naranjos reaches its peak on the low-lying ridge of Magna Marbella. 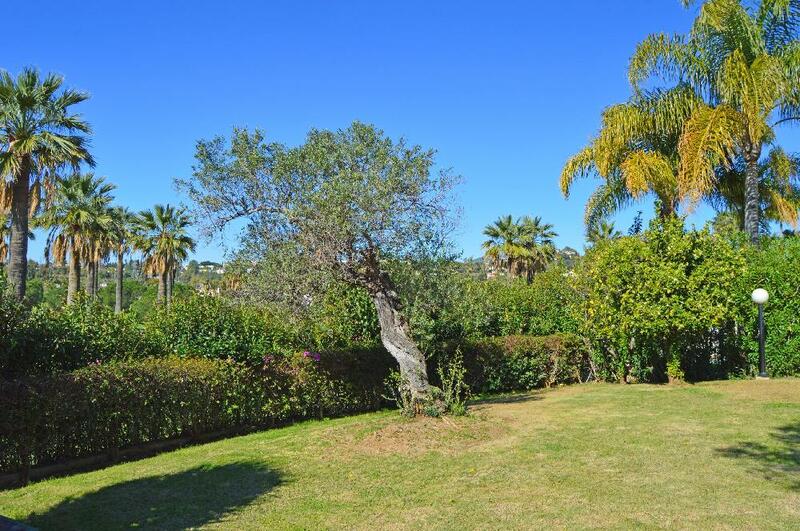 From here it enjoys stunning westward views that take in the coastline all the way to Gibraltar, but look inland and you see magnificent mountain ranges rising up beyond the nearby suburb of La Quinta.